Team Cooper are exhibiting at Prolific North Live this year, the two day expo will take place at EventCity on February 28th and March 1st 2018. “The event itself features leading exponents of digital innovation, cutting edge marketing, branding and experiential agencies, content and engagement specialists, advertising and PR firms, leading broadcasters, TV and film production companies, printers, media suppliers and some of the best business brains from across the UK. We’ll be among them at Stand 65 within the Immersive Technology Zone. 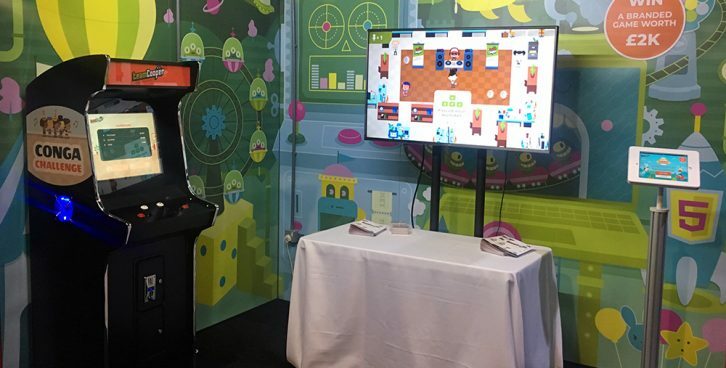 We’ll also be running an on-stand competition, submit your score to the leaderboard and we’ll enter you into a free prize draw to win a branded game worth £2k for your company. If you’re the lucky winner, we’ll work with you to understand your priorities and objectives, help you choose the right engine for your audience from our tailored games range, we’ll add your logo, brand colours and copy, before getting you all set-up and ready to launch. On day 2 our Marketing Manager, Cari Kirby will be delivering a talk on ‘Creating Connections with Games’. The session will focus on why and how brands are successfully using branded games, through a series of results driven case studies, plus some tips on getting the best game for your marketing campaign. Be sure to head to the Insights Theatre to find out more on the 1st March at 11:40am. It’s going to be an insightful and fun couple days, if you fancy coming along to have a play and say hello, sign up today.